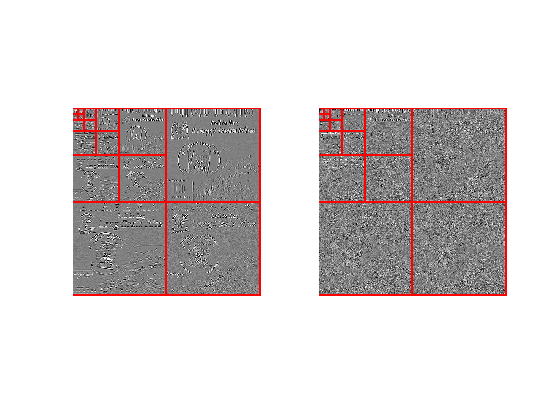 This numerical tour explores multi-spectral image processing. The multispectral image used in this tour is taken from the database of Hordley, Finlayson, Morovic You can test the methods developped in this tour on other images. Scilab user should increase memory. WARNING: This should be done only once. We load a multispectral image. 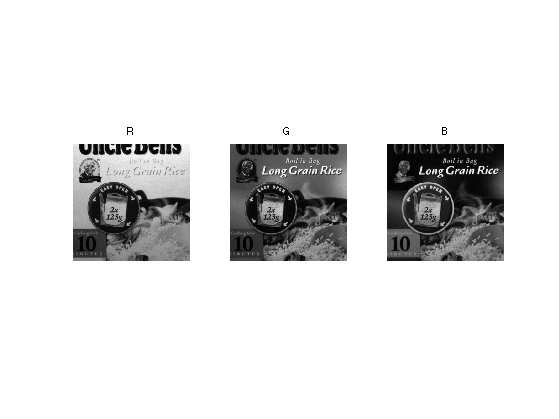 Display a few channels of the image. 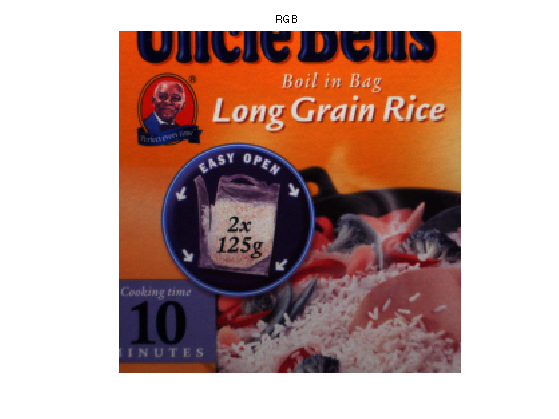 Display an approximate RGB image. 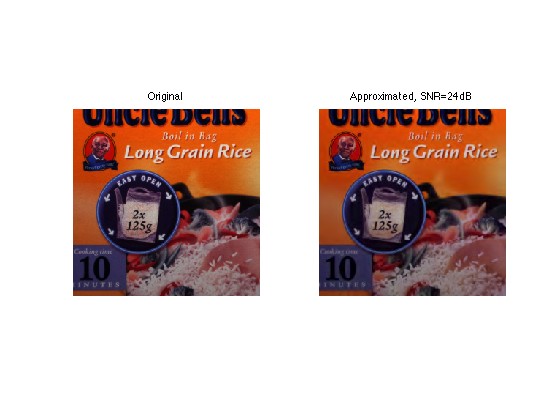 Display the spectral content of a given pixel. 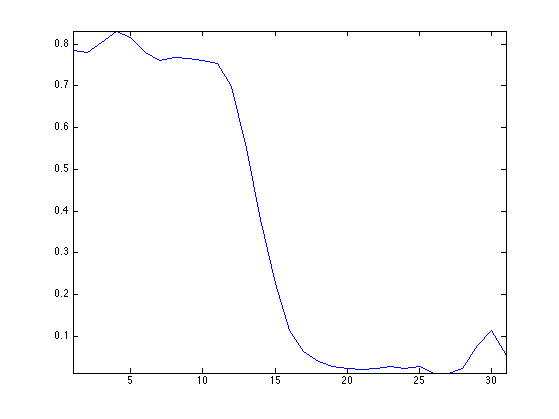 As you can see, spectral curves are quite smooth. To perform the compression / approximation of the full cube of data, one needs to use a 3D transformation of the cube. One can use a truely 3D wavelet transform, or the combination (tensor product) of a 2D wavelet transform and a cosine transform. A 1D DCT is first applied to each spectral content. 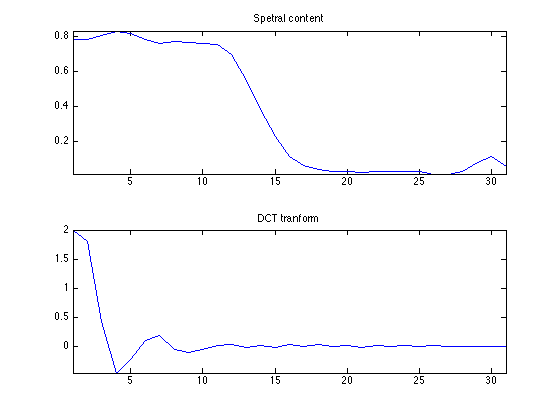 We plot the spectral content of a pixel and its DCT transform. You can note that the DCT coefficients are quikcly decaying. As the frequenc index i increase, the DCT component U(:,:,i) becomes small and noisy. Note that U(:,:,1) is the average of the spectral components. The tensor product transform is obtained by applying a 2D transform. Approximation is obtained by thresholding the coefficients. Exercice 1: (check the solution) Implement the inverse transform to recover an approximation M1 from the coefficients UWT. Exercice 2: (check the solution) Compare the approximation error (both in term of SNR and visually) of a multispectral image with a 3D Haar basis and with a tensor product of a 2D Haar and a DCT. A redundant representation of the multi-spectral image is obtained by using a DCT along the spectral dimension (3rd dimension) and a 2D translation invariant wavelet transform of the spacial dimension. 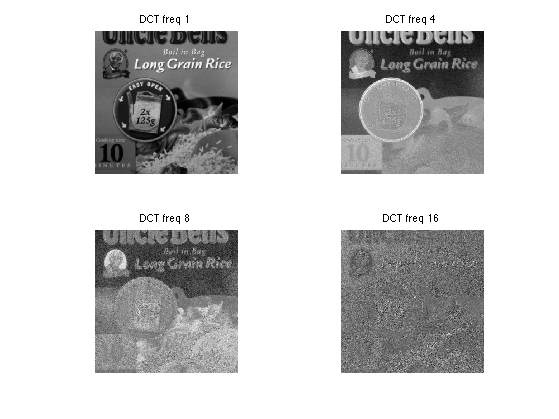 Exercice 3: (check the solution) Compare the denoising (both in term of SNR and visually) of a multispectral image with an independant thresholding of each channel within a translation invariant 2D wavelet basis, and with a thresholding of the DCT/invariant wavelet representation. For each method, compute the optimal threshold value.